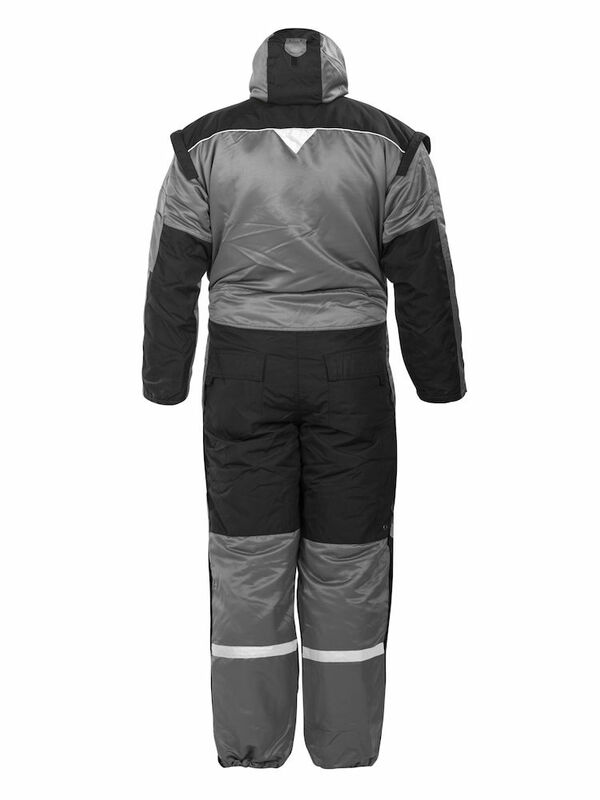 Warm winter coveralls with a thick quilted lining and loads of features. 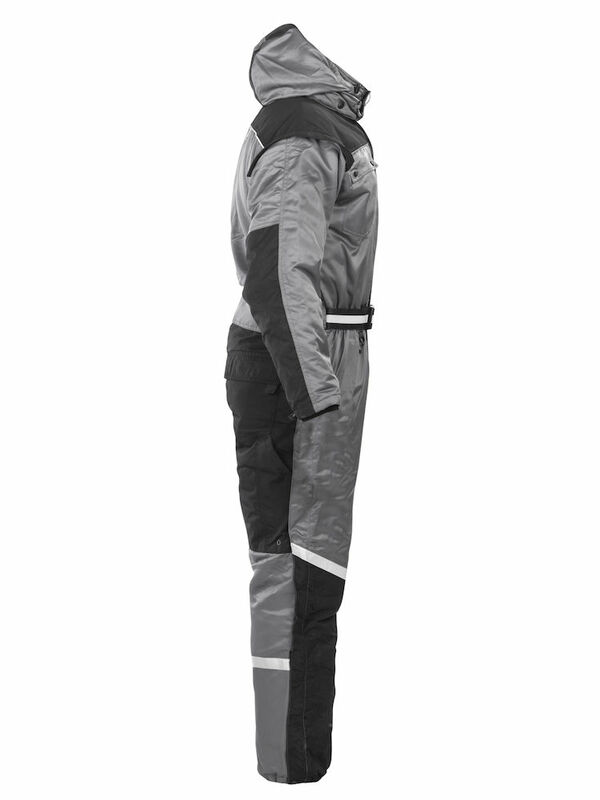 Reflective strips on legs and reflective piping on yoke. 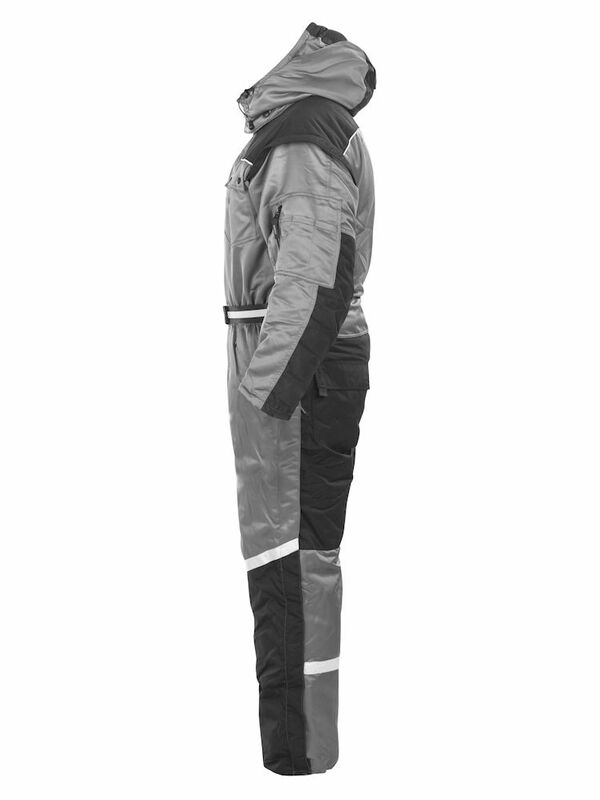 Detachable/tear-off padded hood and reinforced sleeves, shoulders, seat and legs. Zip up to hips on legs make them easier to get on and off. Warmly lined with quilting on body and arms. Double inner pockets with mobile phone pocket. Elasticated waist. Belt with buckle. Concealed stretch in back for comfort. Soft poly jersey inside collar. Drawstring collar. Adjustable removable padded hood. Yoke with reflective piping and adjustable shoulders. Reinforced sleeves, yoke, shoulders and hood. Zipped sleeve pocket. Napoleon pocket with zip inside front flap. Chest pockets with flap. Concealed zipped front pockets. Back pockets with flap. Rule pocket. Zip up to hips on legs. Adjustable hem with elastic and snap fasteners. Reflective strips. Zip for embroidery/printing. I got these as a replacement for my worn out Carhartt coveralls. Positive: -lighter weight than cotton duck -good mobility due to the polyester fabric and good design -nice in damp conditions -armpit zips are a great feature -variety of inside chest pockets Negatives: -pit zip zipper pulls get caught in the inner mesh when zipping up -fabric tabs added to zipper pulls all tore off in the first week Overall, great coveralls. 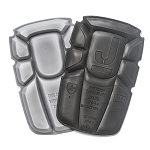 Nice overalls, but you need to drop the "accessories" of KNEE PADS SINCE THESE OVERALLS DO NOT HAVE POCKETS FOR THEM.